IN THE MIX WITH HK™: WILL THERE EVER BE ANOTHER MICHAEL JACKSON? This week marks five years since the King Of Pop passed. It makes me wonder if we’ll ever see another individual impact pop music to the degree that Michael Jackson has. He started his career at the age of 6 and wrote and recorded original work for four decades. The Gloved One holds the title of bestselling album of all time with Thriller, which has been certified 29 times (yes you read that right) Platinum by to the RIAA. I was about to list his many hits, but why??? You know them all. Hell, you may even know the choreography to most of them. I was lucky enough to see Michel Jackson preform live and believe me, it was a performance I’ll never forget. When he stepped on a stage it was sheer magic. And after seeing hundreds of concerts, no one, despite how good they may be, has ever given off the sheer electricity he did. He was absolutely riveting to watch and listen to! 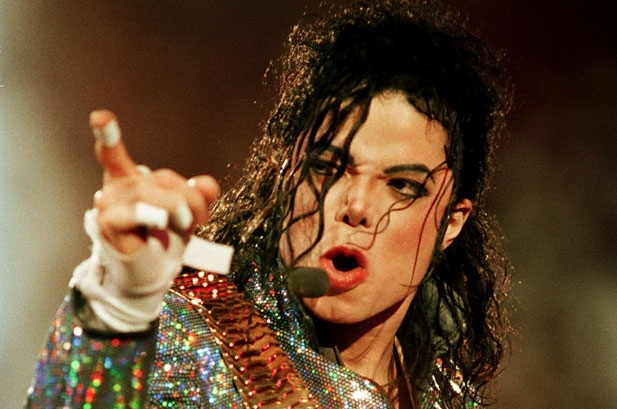 Recording Academy President, Neil Portnow said it best: "Rarely has the world received a gift with the magnitude of artistry, talent, and vision as Michael Jackson. He was a true musical icon whose identifiable voice, innovative dance moves, stunning musical versatility, and sheer star power carried him from childhood to worldwide acclaim. A 13-time Grammy recipient, Michael's career transcends musical and cultural genres and his contributions will always keep him in our hearts and memories." Michael Jackson may no longer with us but his music is certainly livin’ on. It was recently announced that MJ makes history again with Love Never Felt So Good with Justin Timberlake making him the only artist with top 10 hits on the Hot 100 in each of five decades (six if you include his work with the Jackson 5). Just like the King Of Pop, this weekend's In The Mix with HK™ is gonna be legendary! I’ll be tearing the roof off the mother with all your favorite hits starting with Sam Smith – Stay With Me, DJ Snake and Lil Jon – Turn Down For What, MKTO - Classic and Maroon 5 - Maps. The sound waves will be bending with custom HK remixes on the new one from Demi Lovato & Cher Lloyd – Really Don’t Care, Florida-Georgia Line – This is How We Roll, Chromeo – Jealous, Clean Bandit – Rather Be and so much more. So turn up the volume and feel the heat on In The Mix with HK™ all weekend long!